"Archives" are the noncurrent records of a person, an organization or institution that are preserved because they possess historical or cultural information of permanent value. 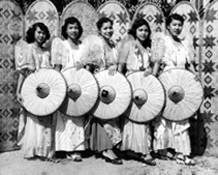 The eFIL Archives is a repository for the digital archives of Filipinos in Hawaii. In the broadest sense, the purpose of the eFIL Archives is to preserve and make available to the public the permanent historic digital records of Filipinos in Hawaii in its custody. eFIL Archives borrows records, digitally reproduces the records, and arranges, describes and preserves the digital records. 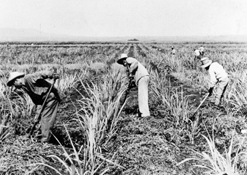 The Archives provides Internet access to its digital collections and a public research room where the digital materials may be studied; promotes and encourages research in the history of Filipinos in Hawaii; and publishes guides, indexes or any other publications that further the knowledge of the history of Filipinos in Hawaii. eFIL Archives does not retain original material but, instead, retains permanently its digital reproduction.